Pay for your waves! Before we hop in for a surf, we're going to clean up the beach a bit. 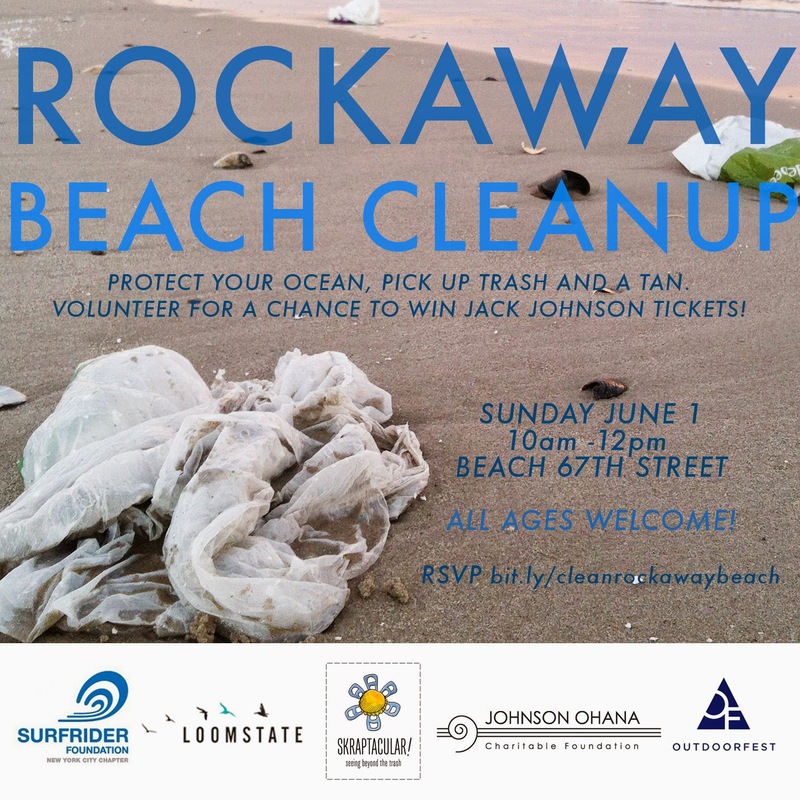 Join Loomstate, Surfrider NYC and Skraptacular at Rockaway Beach. Let's make sure that trash doesn't make it back into our waterways, marine ecosystems, and into our food! After picking up trash off the beach, those interested will help us create an artistic installation piece out of what we find, with the guidance of Skraptacular founder and a local artist. Join us and sign up here! Volunteers will have the chance to win Jack Johnson concert tickets! We will provide gloves, bags and crafting supplies. Please wear suncreen, sand-friendly shoes, and clothing that can get dirty. Bathrooms and food will be available at the 86th Street concession stand, should you need food or drink during this time. We encourage everyone to go for a swim or surf afterwards.